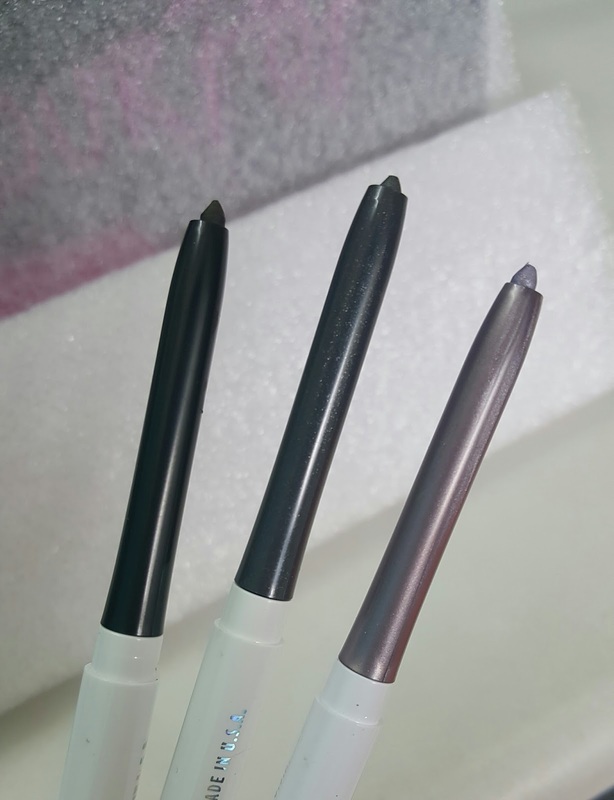 Today I am going to talk about this beautiful gel liner set which retails for only $30 now if you love playing around with cream gel color pots and retractable liners you got to have Fauncy. 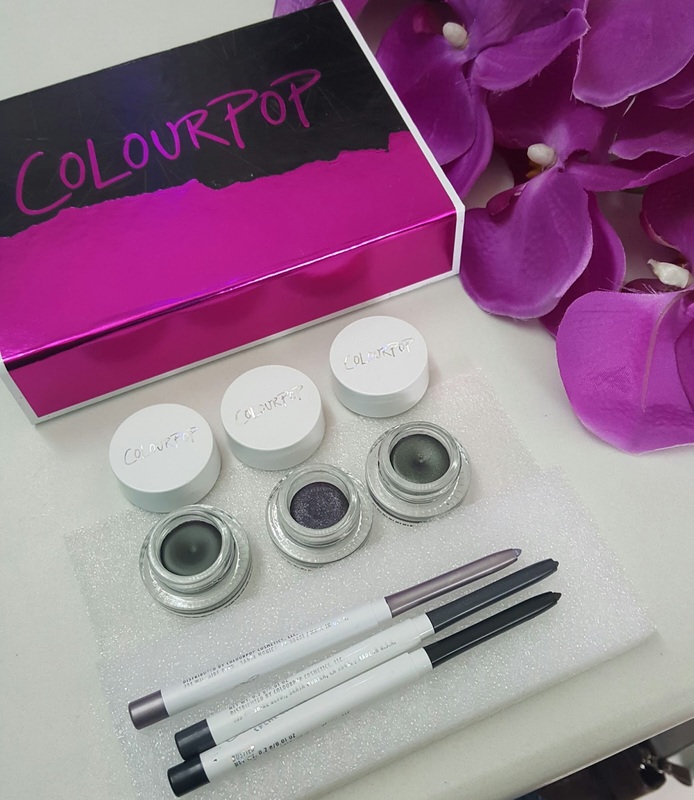 I simply love colour pop cosmetics they have just best of eye shadows and lippie sticks. 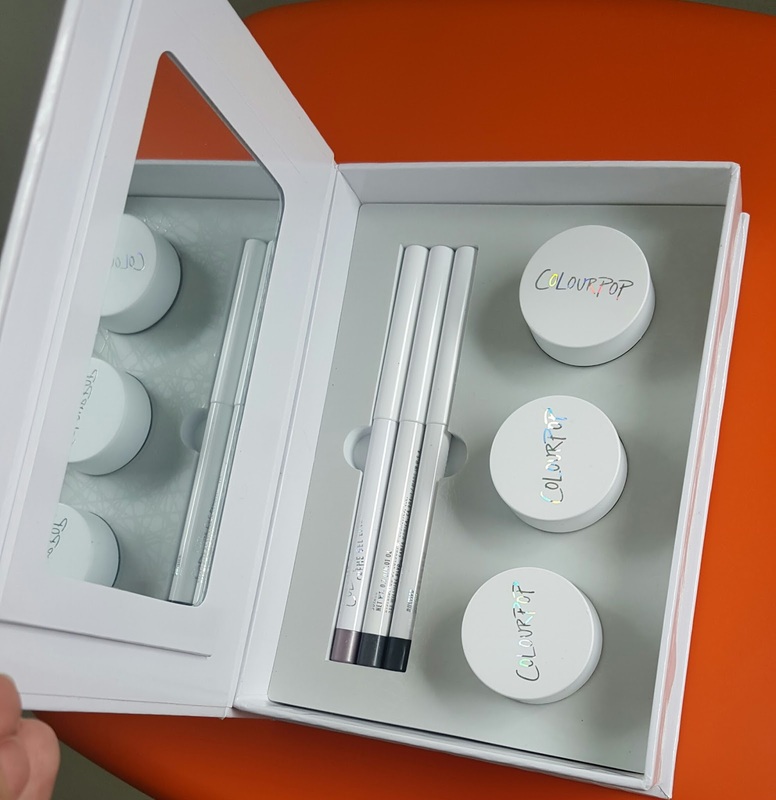 This is my first purchase of a complete set from colourpop I am already impressed with this brand for its super pigmented shadows and creamy formulas. So lets start with the packaging it comes in a beautiful glossy hot pink box having a full side mirror on one side. 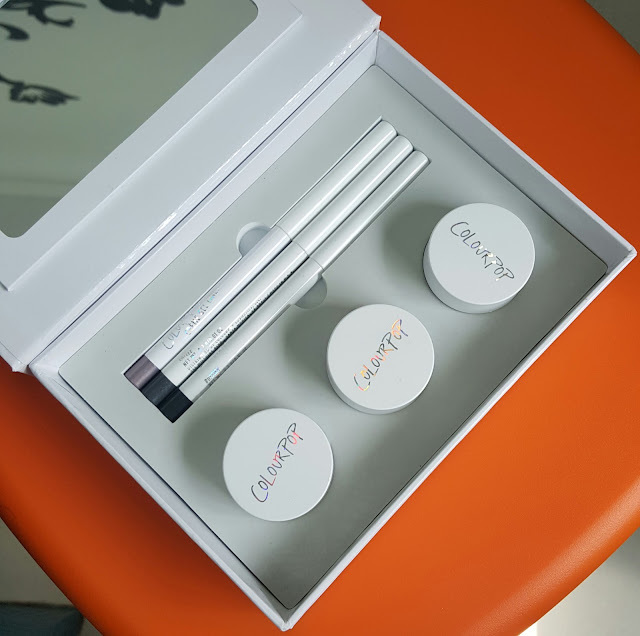 This set contains 3 eyeliner pencils and 3 gel liner in pots so you get 6 shades in all. This eyeliner pencils are gel based they are smooth and gives one stroke smudge proof application. They glide on easily without having to drag them or pull. You can intensify the colors by adding more layers. 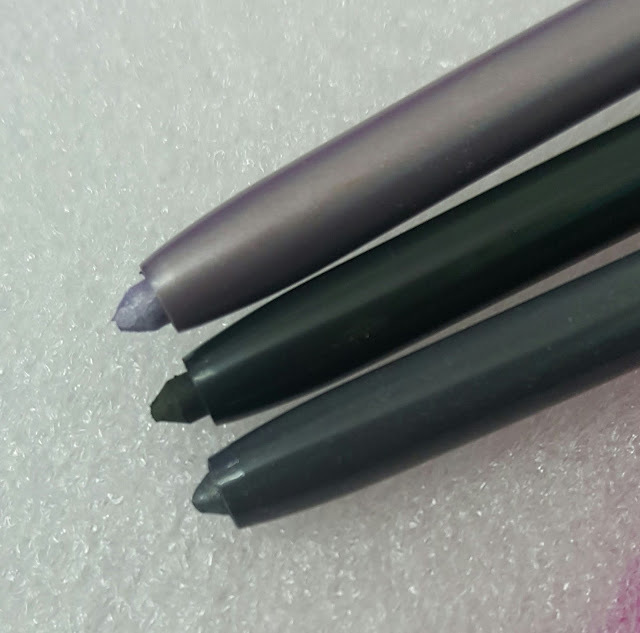 This liners are almost similar to the gel liners which comes in pot. You can use them on lower as well as upper lash line. It goes well on waterline too. 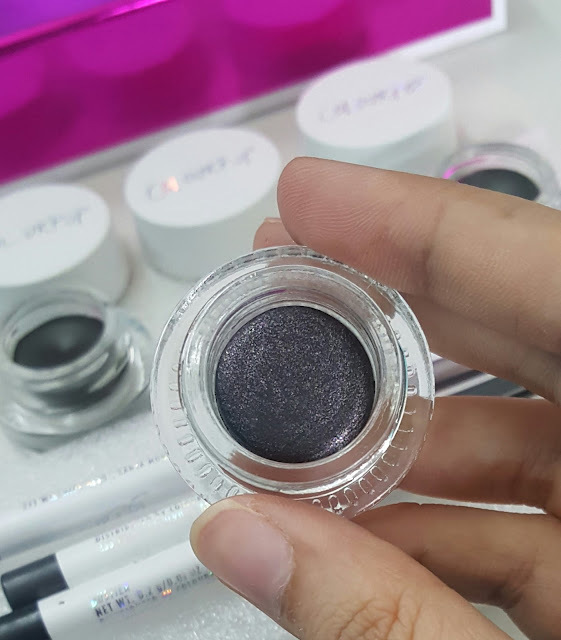 There is no watering or burning of eyes when applied on lower lash line but as it contains glitter I would suggest to using it on upper lash line. 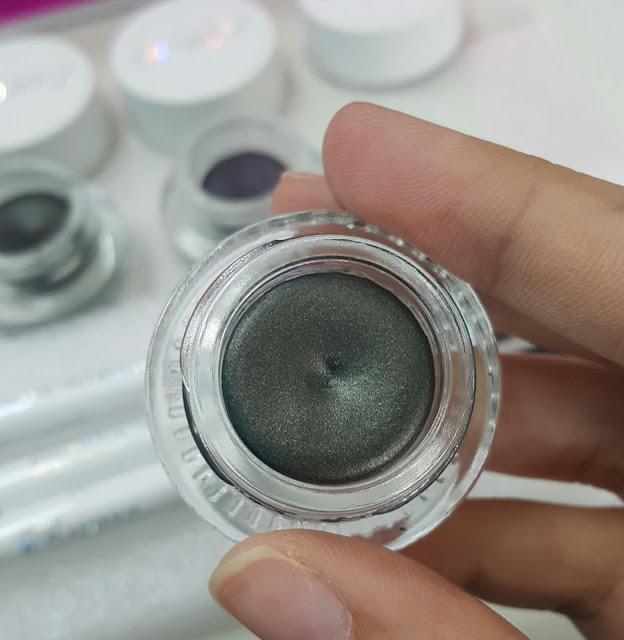 The texture is quite smooth even when it contains shimmer it doesn't feel coarse or gritty. They don’t fade or flake after application. They stay well for 8 hrs without smudging. The colors are really unique and I will be describing each and every shade down below. One of my favourite colors in set. I love grey pencils and they suit my skin tone and eye color well I am glad they have charcoal grey pencil in this box. I am totally going to adore this pencil. It has some hints of pearly gold silver when closely observed. This is semi opaque pencil so you may have to swipe 2 time atleast. This is less buildable compared to bustier. It has metallic finish. Frill is a beautiful lavender color. It’s opaque super pigmented. And very easy to build. I never had such color pencil in my stash. A great color to use on the water line. It’s a icy lavender having light shimmer its very much soft nothing so bold but more suitable for cool skin tone. It has metallic finish. 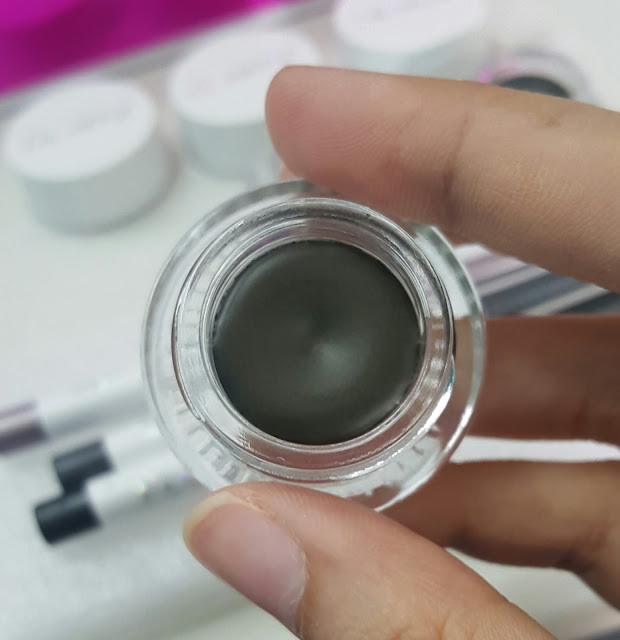 Its almost similar to bustier gel eyeliner deep olive green. It has a blackish base with more opacity. 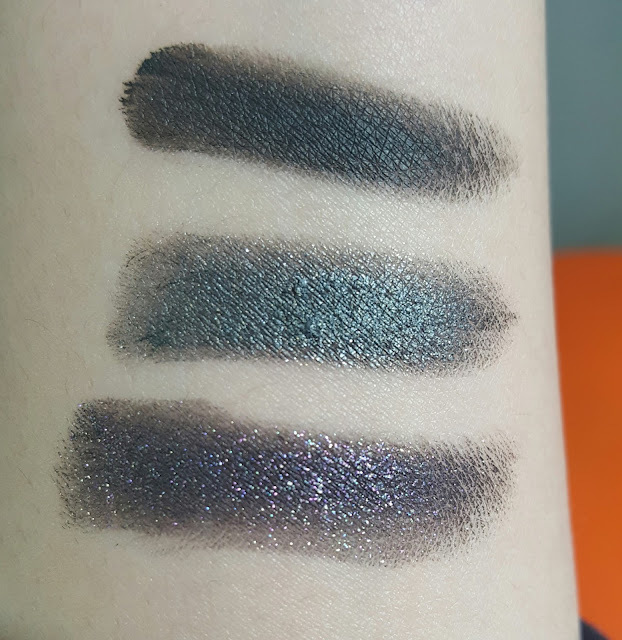 Its deeper, darker and creamier than liner. Very highly pigmented. You can even create smokey eyes with this. But after setting they don’t smudge at all they are almost waterproof. And stays well for10 hrs. Compared to gel eyeliner this is something different. Its again in base of black having green and brown tones with lot of gold sparkle in it. The texture formula is similar to bustier cream gel color. One of my favorite from cream gel color its black shade having lot of colorful glitters in it. there are not chunks of glitter so it looks quite amazing after applying. 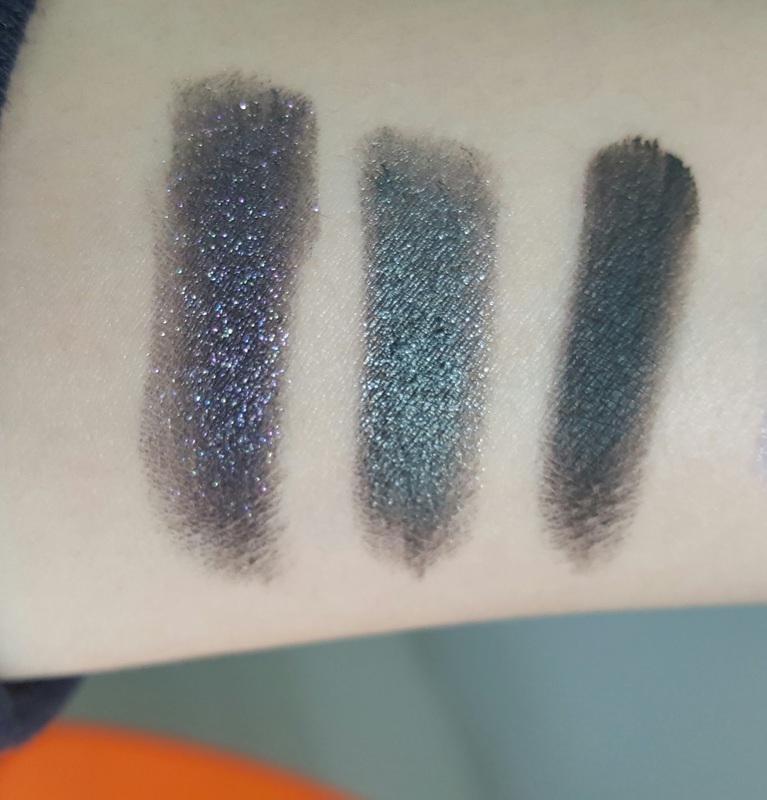 The formula is bit drier compared to other two may be due to glitter. You can use them as eye shadows or eyeliner. There was no smudging but I felt the glitters migrated as I could see them on my lids after few hrs. 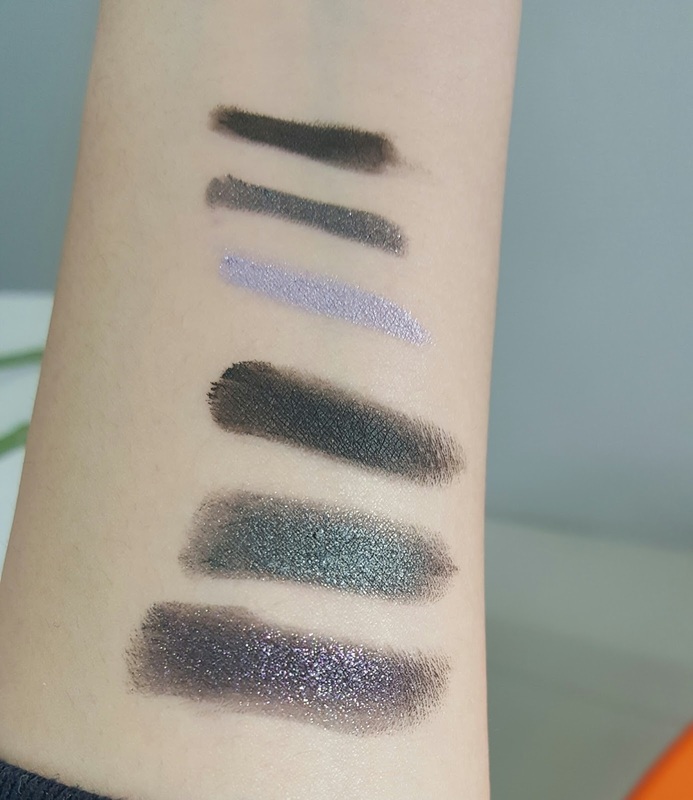 Due to dry formula its difficult to blend if using as eyeshadow and can be litter harder to pull it out as a liner. Overall recommend its good according to price very affordable I would say. 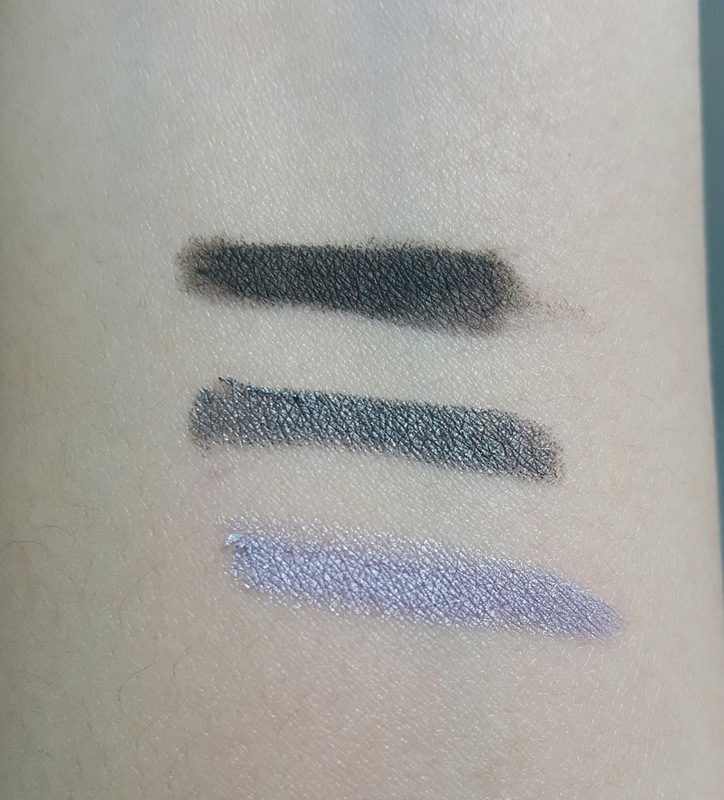 You get some unique colors in liner and cream gel colors. They have very good pigmentation .. I liked the formula. The colors can really go well on many skin tones except for frill which I am not so sure about it. but if you love doing smokey eyes this cream pots are also really great. This set is all for keeping attention to your eyes. 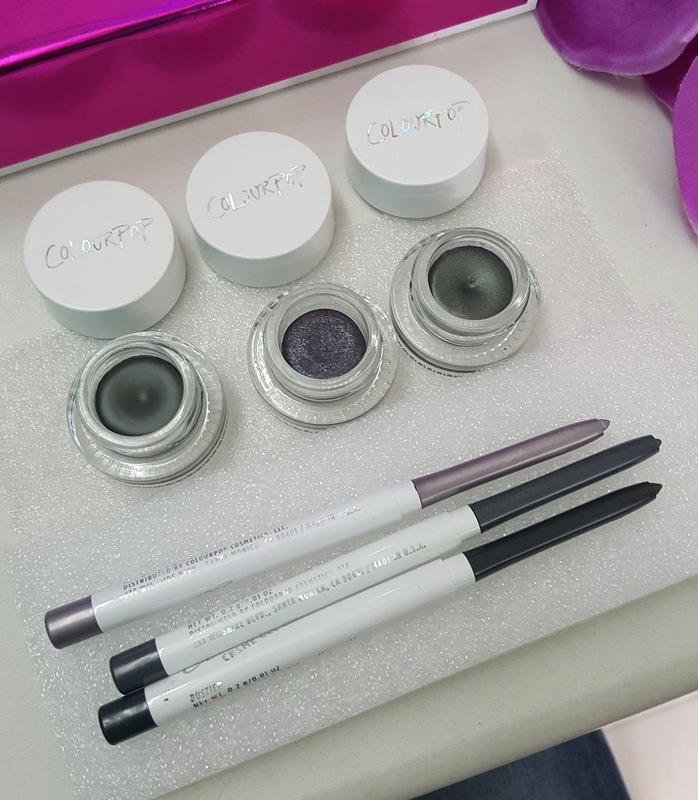 Have you tried colorpop cosmetics? I hope they have a free worldwide shipping available soon. 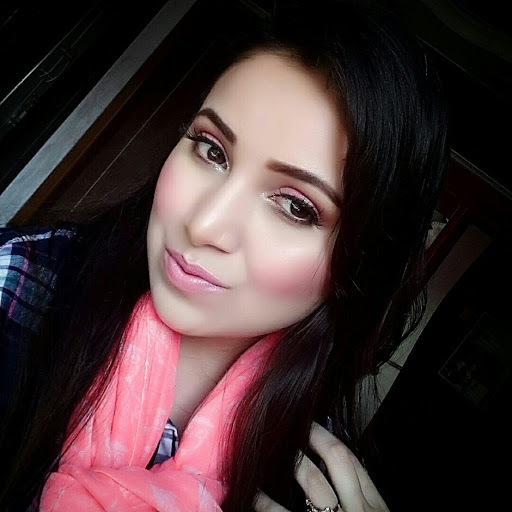 SEPHORA FIBRE SHEET MASQUE REVIEW.